We have been preparing a variety of stir-frys the past few weeks. It is amazing the many choices there are and how they can be made of all sorts of diverse ingredients providing for delicious flavors. 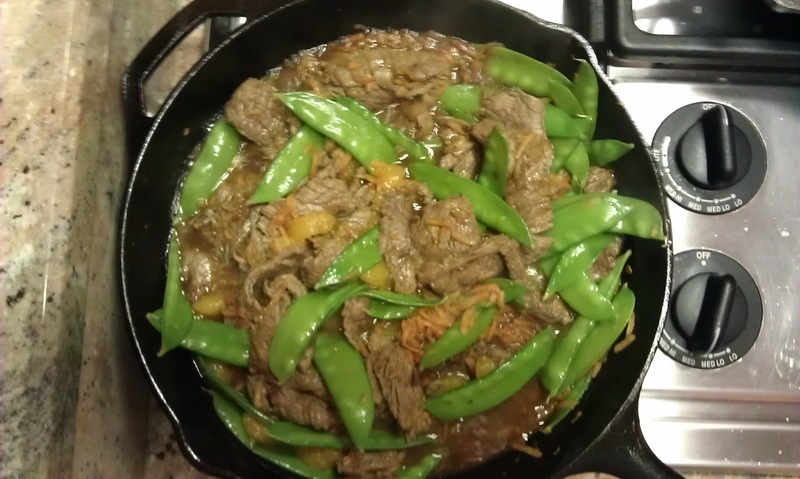 A simple stir fry recipe we found includes Chinese Pea Pods-- Orange Beef Stir-Fry. You may have seen a previous blog entry of mine where I mention that pea pods are a help in curbing hunger and therefore a good choice for weight loss and/or management. This recipe also includes a bit of marmalade, of which I have many homemade jars to use. So it seemed a perfect recipe for us to try. It was delicious! Each serving is 456 calories which includes 1/2 cup rice, offering a complete meal of protein, vegetable, fruit and grain. A definite repeat.